According to the Environmental Protection Agency, a dirty carpet can retain several sources of indoor air pollutants, including pet dander, cockroach allergens, lead, particle pollution, and everyday dirt and dust. Toxic airborne gases can adhere to these particles and also get trapped within the carpet. These toxic gases can be released through everyday activities such as vacuuming and walking across the carpet, which can cause them to contaminate the air in your home. Professional carpet cleaning services kills these bacteria through special shampooing formulas and can remove deeply trapped pollutants with their high powered professional cleaning equipment. Many homes have dust mite infestations, yet most homeowners aren’t aware of the infestation, because the creatures are microscopic. Dust mites themselves aren’t allergens, but they often leave behind feces and body fragments which are. Because of the microscopic size of these particles, they can easily be inhaled when the area is disturbed, which can exacerbate allergies. Many professional carpet cleaning companies utilize techniques performing carpet maintenance work, in which dust mites can’t survive. Especially in areas with high humidity levels, dirty carpets are at a high risk of developing mold growth when exposed to moisture. In precipitous weather, moisture frequently gets tracked into the home and can sink deep in the carpet fibers if not dried and vacuumed immediately. Having your carpet cleaned regularly can prevent mold and mildew growth, because professional carpet cleaners have high-powered tools that annihilate moisture. By eliminating moisture, you can prevent mold growth that can be harmful to your health if ignored for too long. 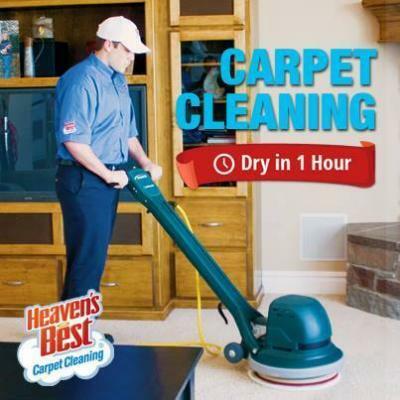 If it’s time for you to go ahead and take some steps to help your family Benefit from Professional Carpet Cleaning; then give Heaven’s Best Carpet and Upholstery Cleaning of Hoover, AL a call at 205-618-9150. We will be more than happy to get you well on your way to a cleaner home and a healthier environment.